Premises liability cases come under the heading of personal injury cases whereas the injury in question occurred as the result of some type of unsafe or defective situation on someone’s property. In most of these types of cases, negligence on the part of the property owner(s) is the basis for the legal action, the assumption being that the property owner failed to maintain safe and hazard-free conditions. Legally, if you enter a private business such as a store, mall, or are a guest at a hotel, vacation resort, or casino, you are considered to be an “invitee” who is on the premises to buy goods or services or conduct business. This means that a business, whether it is private or public, has a legal responsibility to make sure that their premises are free from safety hazards. If you’re invited into someone’s home, you are considered to be a “licensee” which means you’re coming onto the property for your own purpose, such as a delivery person or a salesman. Your hosts have an obligation to make sure that their home is reasonably safe and should warn you about any dangers such as posting a “beware of dog” sign. In the State of South Dakota you have a legal right to bring an action for physical and medical injuries if you have been involved in a premises liability case. The statute of limitations is 3 years for personal injury cases. It’ s important to contact a personal injury attorney as soon as possible after your accident so that you have an opportunity to file a lawsuit should you decide to do so and to ensure that your attorney has ample time to gather the evidence needed to prove your case. The South Dakota personal injury law firm of Gregory A Yates, P.C. has a solid reputation when it comes to fighting even the most complex of cases on behalf of injured victims and their families. If you have been a victim of some type of personal injury and require an attorney in Rapid City or the surrounding areas, you need a firm that can offer you personalized as well as compassionate advice and counsel and that will work hard to ensure the best possible result for you. Greg Yates and associate Michael Shubeck of Rapid City Lawyers have more than four decades of experience between them and have won many major awards for clients involved in personal injury cases. Personal injury attorneys work on a contingency basis which means that there are no up-front fees. Your first visit to Rapid City Lawyers is a free consultation, and, should you decide to file a lawsuit, you will not be charged any legal fees unless you win your case. In premises liability cases, the typical fees range from 33-40% of the final settlement. Call the office today to find out how Greg Yates can help you. 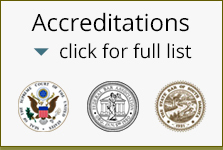 Check out the website of Rapid City Lawyers to read testimonials from satisfied clients.